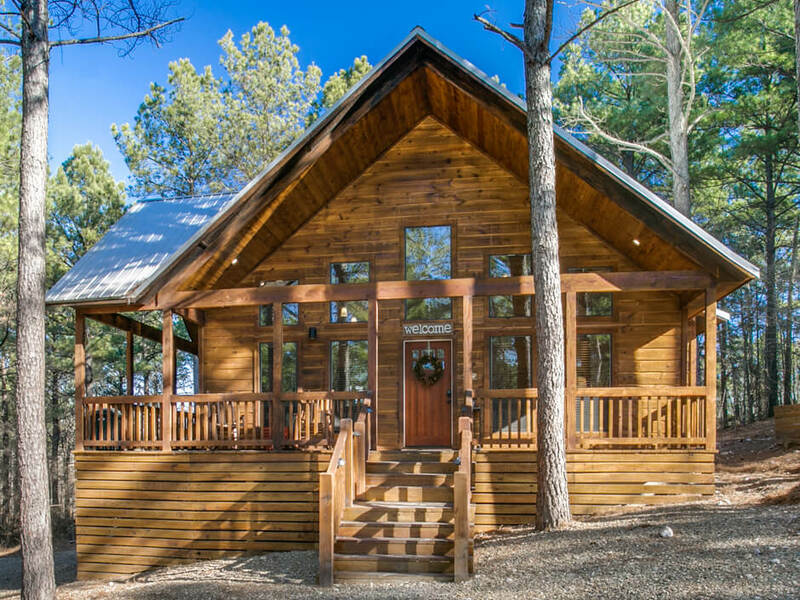 Find the perfect cabin in Broken Bow, OK for your next vacation. 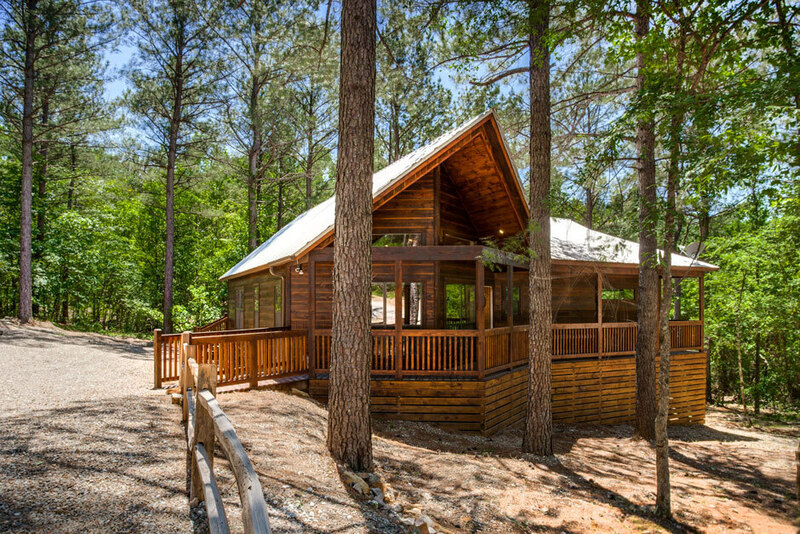 1-4 bedroom luxury pet-friendly cabins with Outdoor Wood Burning Fireplace, Firepit, Hot Tubs, by Beavers Bend, Hochatown State Park, Mountain Fork River, and so much more! 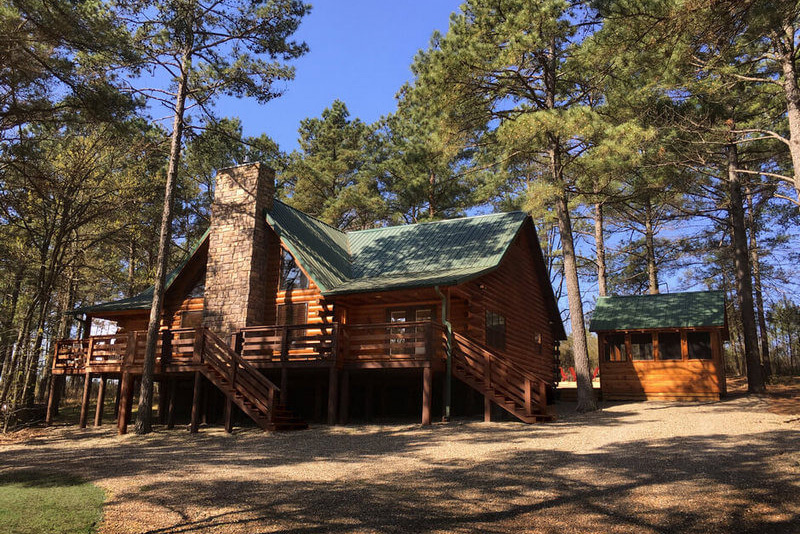 The Woodland Escape is a beautiful one bedroom cabin by Hochatown State Park. This cabin has an open concept living room, large bedroom with a king size bed, and a top of the line master bathroom. Outside you will enjoy relaxing in the hot tub by the wood burning fireplace while watching your favorite movie. Perfect for a romantic getaway. 2 Bedroom, up to 4 to 6 guests. Pet-Friendly. 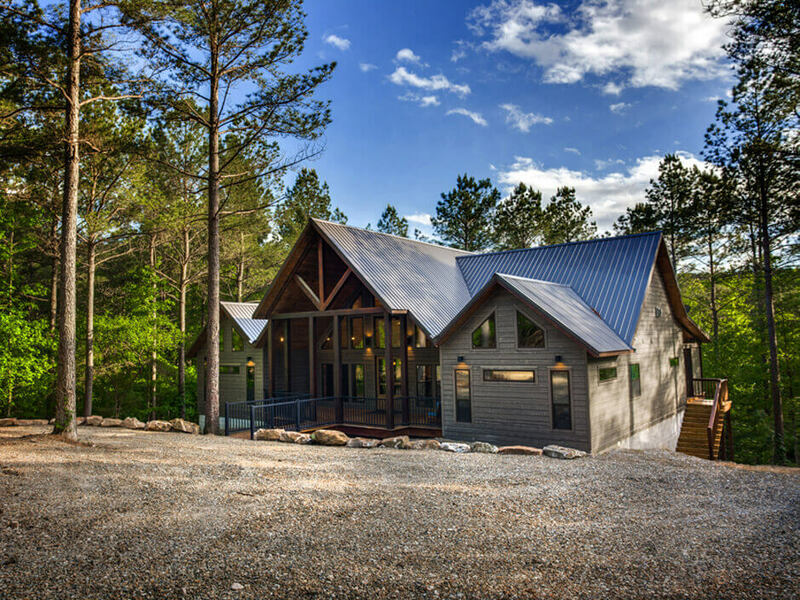 Bungalow Broken Bow is a brand new 2 bedroom Luxury rental cabin that features amazing double master bedrooms with king beds and their own private Master Baths. This very spacious one story cabin is surrounded by plenty of natural green space on a large lot in the popular Timber Creek area. 3 Bedroom with game loft, 8 to 10 guests. Pet-Friendly. 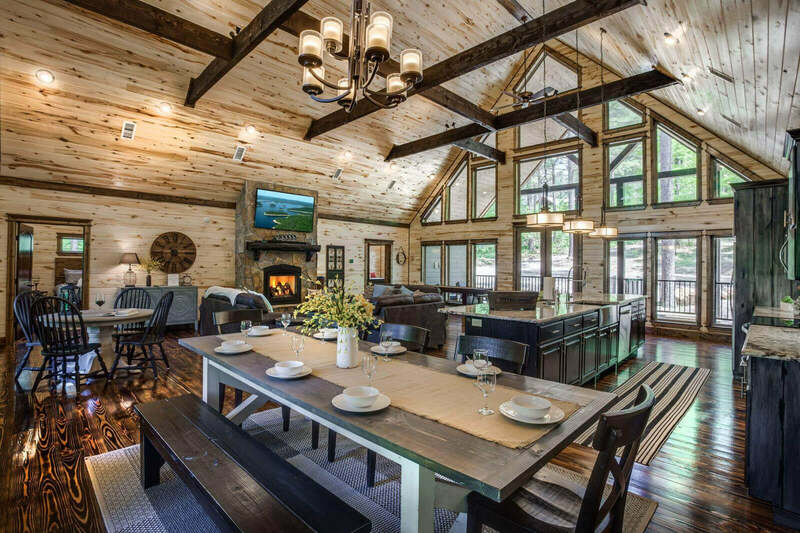 © 2018 LuxuryCabinsOfBrokenBow.com. All rights reserved.